Do you ever find yourself in a weird mood and the only thing that can help is to bake? Yesterday, that was me. Sometimes life gets in the way of everything, and the only way to calm me down is to be in the kitchen. I found myself wanting to try my hand at something sweet, but not overly heavy. I was also itching to use my new mini cupcake pan, courtesy of m-o-m. When life gives you lemons, all you have to do is throw in some other ingredients, including lavender to soothe and calm, and you’ve got yourself a lovely batch of Mini Lavender Lemon Cupcakes. Subtle flavor, easy on the diet, absolute perfection. I originally found this recipe here; but you know me, I must feel the need to change it. 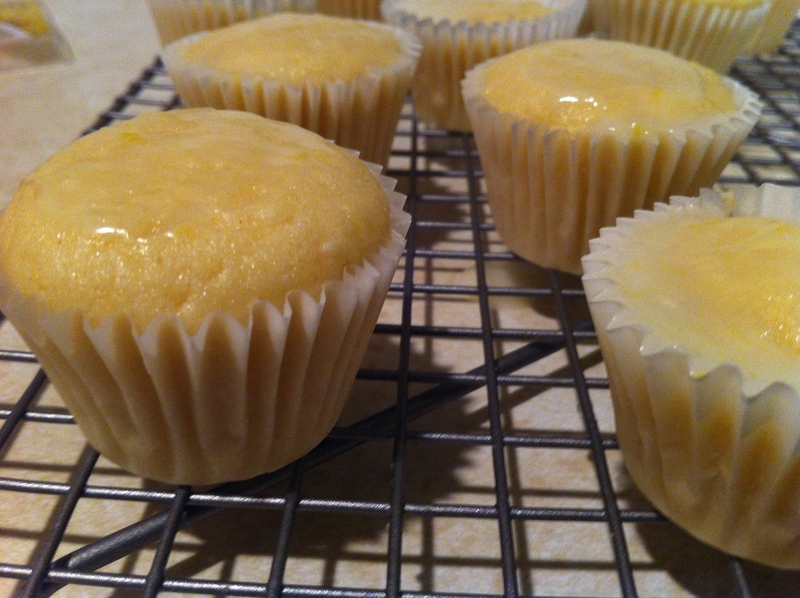 Preheat oven 350 degrees and place cupcake liners into muffin pan. (Note: You can easily turn this recipe into normal sized cupcakes. Yields 24 mini or 12 regular sized cupcakes.) To make the batter, whisk together flour, lavender, baking powder, and salt; set aside. In a separate bowl, beat butter and sugar with an electric mixer on medium speed for 3 minutes or until light and fluffy. Beat in egg, lemon juice, and zest. Beat in one-third of the flour mixture until just combined. Beat in half the buttermilk, followed by another third of the flour, then the remaining buttermilk and flour. Fill cupcake liners about two-thirds of the way up and bake for 24-26 minutes or until a toothpick inserted in the center comes out clean. Cool in pan for 10 minutes, then remove and cool completely on a wire rack. 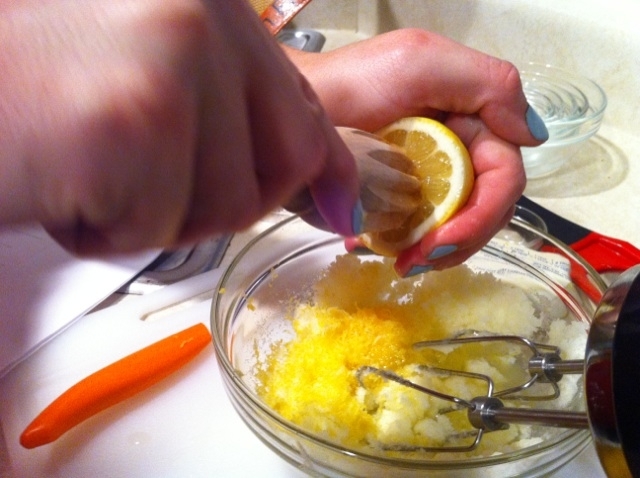 To make the icing, stir together confectioner’s sugar and lemon juice until smooth. Stir in zest. Drizzle over cupcakes and garnish with lavender. (Let frosting set for 30 minutes before packing or serving.) Serve right away or store at room temperature in an airtight container for up to 2 days.